No, not that David Mellor. No, no. David Mellor Design, of course. 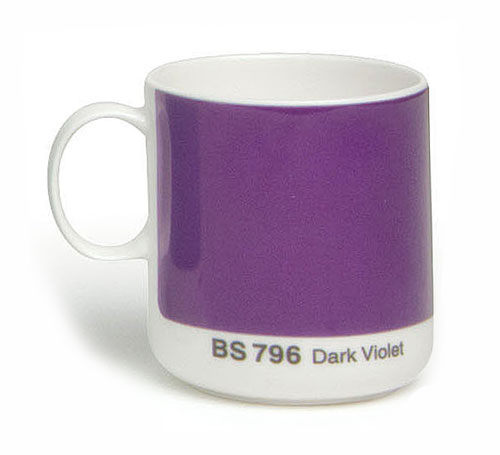 The one founded by the late, great David Mellor, and now run by his son, Corin, who is the designer behind these British Standard mugs. Long before Pantone came along with its fancy fans of colour, the British Colour Council had already created the Dictionary of Colour Standards, a 1934 index of colours for use by the government, industries, academia, and horticulture. Each colour had a name (often beautifully descriptive) and a code, and they were used to standardise everything from uniforms to maps, flags to pillar boxes, machinery to pottery. 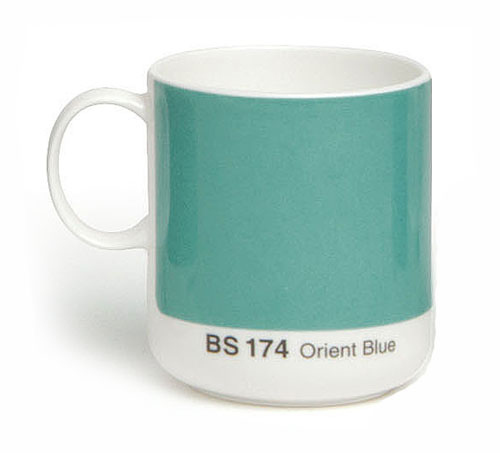 The dictionary and the colour codes detailed within its pages fell out of general use just a couple of decades later, but Corin Mellor has resurrected the early-1950s British Standard palette on his range of colourful mugs, £9.50 each. ...Or this Dark Violet one. They'd make gorgeous breakfast table-fellows, this pair. Excuse enough to have two different kinds of coffee SIMULTANEOUSLY every morning. Look! 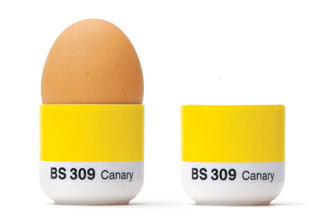 You can serve up an extra dose of sunshine with your boiled egg with this canary yellow egg cup, £5. 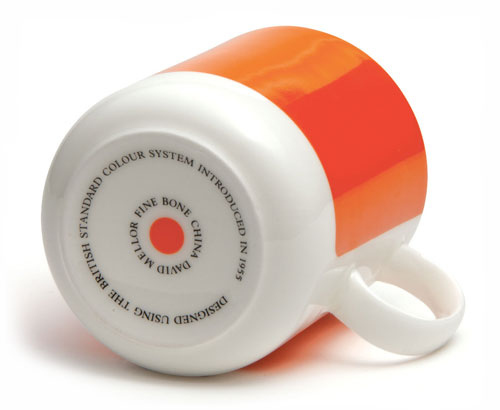 Each mug is stamped with its unique British Standard code and colour name. I really like the story behind these pieces; it's like a little bit of British history has been revived. Move over, Pantone - there's a new rainbow of ceramics in town, and I'm making space on my shelves, stat. Brilliant! I didn't know about the British Standard colours... must research some more. And thanks for the great links to David Mellor Design too!